Transport Minister Simon Bridges doesn't expect a big New Zealand shift Aircraft laptop ban's stance on laptops in Aircraft cabins. Australia is considering following the lead of Britain and the United States in bannin g equipment bigger than cellphones from certain flights departing from the Middle East and North Africa. There are signs that the US may extend the ban to flights departing from the European Union. Bridges said that while the director of the Civil Aviation Authority is reviewing the policy and will make the final call, this country wouldn't be overly swayed by what was happening internationally. FAA ATP or CPL Certificate and/or EASA CPL/ATPL License If FAA, validation and conversion during the first 2 years (Pilots will be assisted to obtain), provided at a Flight Training School in Florida. 1,500 hours total time (including minimum 500 hours on jet or turboprop airline experience in commercial operations within the last 12 months) EASA Medical Class 1 (Pilots will be assisted to obtain) English language proficiency ICAO level 5 or higher, or proficient as per FAA No criminal record or accident You must have the legal right to live and work in the United States (i.e. US Passport or Green Card). Register for Norwegian's next B737 MAX screenings: If you have the requirements for the Norwegian B737 MAX Role, don't miss out on this fantastic opportunity! Callsign'New Zealand' CEO or MDMr. Christopher Luxon, CEO AddressPilot Recruitment Flight Operations International, Air New Zealand Private Bag 92007 Auckland, NEW ZEALAND TelephoneNo Telephone Calls Please. 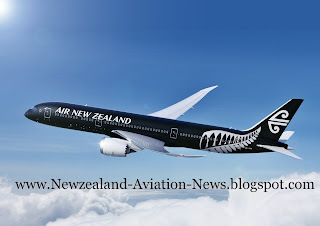 WebsiteAIR NEW ZEALAND WEBSITE Fleet Types6 Boeing B787-9 Dreamliners, 7 Boeing B777-300ER Airliners, 8 Boeing B777-200ER Airliners, 29 Airbus A320-200 Airliners. Aircraft Orders1 Airbus A320/A321 Airliner, 10 Airbus A320neo Airliners (2017 onwards) 6 Boeing B787-9 Dreamliners. 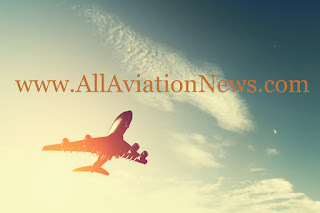 Pilot Bases / DomicilesNZAA - Auckland International Airport / Auckland, NZ NZCH - Christchurch International Airport / Christchurch, NZ NZWN - Wellington Airport / Wellington, NZ (B737 only). Notes National Airline of New Zealand. Part of Star Alliance. Known for excellent service and friendly atmosphere. Gradually replacing B737-300s with Airbus A320-200s. 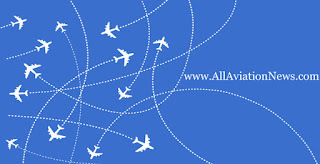 #Airways_NewZealand #NewZealand_air_navigation_service_provider #ANSP #airtraffic #nationwide_ADS_B_network. An Invitation for Your Participation in the www.AeroSoftCorp.com Advertising Plans.